Disclaimer: While I firmly believe World Nutella Day greatly impacted Ferrero’s business and the popularity of Nutella in several markets, I don’t have access to internal Ferrero statistics or data, and some of the commentary is conjecture fueled by my experience and viewpoint as World Nutella Day founder. Happy 10th World Nutella Day! At the beginning of 2007, more than 3 years after I’d moved to Italy and not long after I’d become active on my food & travel site, I was amazed at Nutella being relatively unknown back in the United States. I would bring jars and snack packs of Nutella with me when I visited the U.S., and only rarely saw Nutella for sale in specialty Italian grocery stores. I was surprised: Why wasn’t Nutella more popular? Why weren’t they eating this chocolaty elixir globally? At the time, Ferrero (parent company of Nutella) was arguably very Italian in their approach to marketing: focused on television, offline, and in-store promotions, which I saw everywhere in Italy. Nutella was prolific in Europe, and anyone spending even a few days in Europe quickly learned about it, usually at their hotel breakfast. Ferrero’s online presence in the English-speaking world, and specifically the United States, in 2006 was almost non-existent. There was no Nutella.com, and after a time the domain redirected to Nutella.it which was all in Italian. The same for Fererro.com, the parent company website which redirected to Ferrero.it and provided only the basic information about Nutella in Italian, and no way to contact the company. No phone number, no email address, no contact form. Ferrero felt to me much like Willy Wonka’s Chocolate Factory: aloof, mysterious, and amazing, based on the products that were being manufactured there. I wondered at the company producing this deliciousness. Who were they? Though I was living in Milan, a few hundred kilometers from Alba, the seat of Ferrero’s headquarters, I didn’t know anyone working there. I wouldn’t have been surprised to discover Oompa Loompas were working there making magical creations. Years later, I drove by the Ferrero factory in Alba, which doesn’t allow visitors. But I wanted to share Nutella with the world. I got an idea in early January of 2007, and sent an email to a blogger friend Shelley Ruelle: “Want to host International Nutella Day with me?” said the subject. She of course said yes. And World Nutella Day was born. What is World Nutella Day? At the beginning, World Nutella Day was primarily a food blogger and Italy expat/lover blogger event. This was a world before Twitter and Facebook were daily landing pages for the average person, and these type of blogging events were popular in the blogosphere at this time, usually consisting of bloggers all publishing something on a specific date and someone posting a round-up and linking to those who participated. Shelley and I picked a date, February 6th. The next year the date would change to February 5th and remain that date from then on. We announced the event on our own sites a few weeks ahead of the date, encouraging fellow bloggers to participate. Michelle Fabio took over for Shelley as co-host in the 3rd year. The first World Nutella Day logo, very similar to the current one, introduced in 2010. In 2007, the NutellaDay.com website was a simple landing page with information about the event and links back to our respective sites for more information. For those geeks interested, it was built on Google’s Site Builder, which I was testing at the time in association with Google Apps. It moved to WordPress shortly after, and that tiny site on a shared server with a good caching plugin withstood all the viral traffic for years to come. NutellaDay.com, circa 2007, internet archive. Nutella Day was immediately popular and we had a lot of interest from bloggers to participate. In 2007, Facebook was gaining popularity but wasn’t widely used, and neither was Twitter, which I joined myself in March 2007. Bloglines and Google Reader delivered blog content, but many people were still going directly to websites to get updates directly. Dozens of food and Italy bloggers sent us their Nutella Day recipes and other contributions like songs, poems, videos, and other odes to Nutella, and we posted recaps of the event linking back to their contributions shortly after Nutella Day. The event stayed a predominantly blogger event for the next few years, growing in popularity and participation amongst our friends, family, colleagues, and readers of our food and Italy blogs, and it began to radiate outwards from those circles. We got few a mentions in the press in the early years, and even made trending on Technorati, when that was still something that measured online popularity. We updated the logo, and created more resources for fans, like these “Keep Calm” images I created below. And its popularity kept growing. One of the biggest impacts World Nutella Day has had on Nutella’s market is the association of Nutella with recipes. At the beginning, as hosts of World Nutella Day we heard back from hopeful participants who were hesitant to buy a whole jar and try it for the first time. “What would I do with it?” they asked. In addition to just tasting it on a spoon, we encouraged participants to try to incorporate Nutella into a recipe so that they could blend the familiar with the unfamiliar. The incredible participation by food bloggers creating wonderful recipes incorporating Nutella didn’t hurt, either. Ideas bred ideas and people started revamping favorite family recipes, and going well beyond to freezing Nutella in liquid nitrogen or making their own homemade versions. Nutella Flourless Cake – a recipe I contributed one year for Nutella Day. Because of the incredible participation and popularity of the recipes made with Nutella, I decided to make it easier for people to discover the recipes and organized all the contributions into categories and linked to them on a Nutella Recipes page from the World Nutella Day site in 2009. Nutella Day Recipes page, May 2015. Soon, there were hundreds of recipes involving Nutella! At my last count there were more than 700 unique recipes listed. The World Nutella Day site quickly resulted #1 in Google for “Nutella recipes” searches and remained #1 as recently as January 2016 (below). The Nutella recipes page has since been removed from the new Nutelladay.com site even the page is still showing up on Page 1 of Google results as I type. Here’s how search about Nutella globally has changed over time – note the incredible spike in February 2015. And those other little spikes? Yep, almost exclusively in February of each year. The search results indexed for those years tells the story, too. Search results for “Nutella recipe” for documents/articles published in 2004 numbered only about 2,000 results, and prior to the launch of World Nutella Day in 2007, only about 8,000 pieces of content result associated with 2006. A total of 16,000 pieces of content were published in the three years prior to World Nutella Day’s launch (2004-2007). Now there are more than 10 million results for “Nutella recipe” in Google. Nutella themselves didn’t even embrace the concept of Nutella in recipes until rather recently – a few short years ago when they published their first Nutella cookbook in 2013. But by then, the co-hosts of World Nutella Day had already published our own book on Nutella. In the fall of 2012 I was offered a cookbook deal from a U.S. publisher focusing on Nutella recipes. There wasn’t an English language cookbook on the market focusing on Nutella at the time, though I had seen several Nutella cookbooks in Italian bookstores in Italy. Earlier that year, in January 2012, Michelle and I had released The Unofficial Guide to Nutella, consisting of a dozen of our recipes and fun things regarding Nutella and celebrating World Nutella Day. It was the first book about Nutella of its kind in English (check it out, we’re the oldest book on Amazon about Nutella). Some of the content was already on our websites and on the World Nutella Day site, but we wrote and collected some new information for the book. 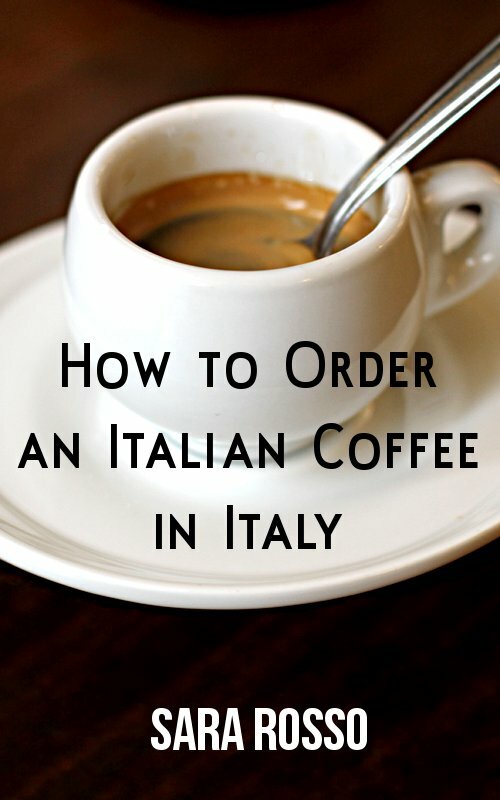 I had recently published my book on Italian coffee, so it was a no-brainer to then do an ebook for World Nutella Day. We also used the ebook as a marketing tool for the holiday and gave away copies of the book on a regular basis, as we saw it a fun thing we created rather than a revenue generator. On one such occasion, we rose to #25 on Amazon, out of more than a million books on the Kindle Store. And it wasn’t even Nutella Day! In the end I didn’t move forward with the Nutella cookbook offer, and there are a lot of them out there now, but it was nice to be the first. Along the way, World Nutella Day became a true holiday, and not “owned” by anyone. People became exposed to it who had no idea who Michelle or I were. People made it their own. It wasn’t our holiday anymore. It was great. It was great to see sites and people refer to World Nutella Day without referring back to me, the site or its social media presences, or even the official hashtag. It was just a holiday they celebrated, not because someone told them to. “We Had a Dream. And a Spoon.” This became an official rallying cry for World Nutella Day. We got a ton of press about the event, from NBC New York doing a segment on it, to TODAY, Yahoo! News, LA Weekly, CNN, ABC News, Disney, FOX, Huffington Post, and more. It trended on Twitter, celebrities talked about it, and bars, restaurants, and ice cream shops made it their own. Happy World #Nutella Day, y'all! Oh, hazelnut glory. Nutella’s 50th anniversary was the first time I saw Ferrero reach out globally to their fans and really embrace them, and I think they did a great job. I would be remiss if I didn’t mention 2013 and when World Nutella Day almost got shut down. There are a ton of articles written about that time: this article has a good summary and direct quotes from me, and this video by Taiwanese animators is completely hilarious. I have good feelings about how things got resolved, and Ferrero and I are definitely on friendly terms. In fact, in 2015 I transferred the World Nutella Day community to Ferrero. You can watch this video for more about that, but what’s important is World Nutella Day will live on, and I requested a donation to the World Food Programme instead of direct compensation as a result of the transfer. I knew it was time to give the community ‘back’ and really allow it to grow globally and have team(s) who could nurture it and give it the attention it needed. I have a full-time job I love, after all.